Figure 4.3. Airflow energy compared to available chemical energy. Remember 25,573 ft/s is orbital speed at 100 nautical miles. At orbital speed and with Carnot losses the ratio of kinetic energy to energy added by burning hydrogen is about 9. That means the kinetic energy of the air stream is nine times the fuel combustion heat addition, an astonishing number. So if the air stream was to lose 11% of its energy (for instance, through friction), combustion of hydrogen fuel could not make up the deficit and there would be no net positive thrust. Adding losses caused by non-uniform combustion, that 9 ratio becomes about 12. So the loss limit for the air kinetic energy is now more stringent, about 8%. Adding energy required to mix the fuel with the high-energy air the ratio is about 38. So the loss limit for the air kinetic energy is now 2.6%. That means that all of the internal inlet-combustor-nozzle losses must be less than 2.6% just to maintain thrust equal to drag, with no acceleration. That is very challenging. The qualitative conclusion is that for a hypersonic airbreathing propulsion system the task is not so much maximizing combustion efficiency but minimizing air stream energy losses. 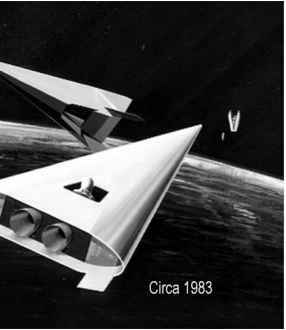 So hypersonic airbreathing propulsion becomes an energy conservation problem, and that encompasses the entire vehicle. For instance, the heat energy that enters the airframe is normally discarded, and that process is called cooling. If instead a portion of that heat energy could be recovered as useful work and converted to thrust that could represent a heat addition corresponding roughly to 30% of the hydrogen fuel heat of combustion [Novichkov, 1990]. Considering the loss limits discussed above, that is a very large energy addition. Table 4.1. Representative fuel properties.